When you first start looking for your San Diego wedding venue, you will see that you have a lot of options to choose from. In looking at the features and amenities offered by each location, it can be tough to make a decision. The process for finding the perfect venue may be daunting, but if you make a list of must-have items, your search will be a lot easier. By using your list as a reference point, you can quickly determine whether a specific venue fits your criteria. This way, you will know when you have found your ideal venue, and you can move on to planning out the details. First of all, your selected San Diego event venue should be easily accessible. The better accessibility of the venue location, the more convenient it is for guests, especially those from out of town. To make it comfortable for your guests, consider factors like distance from the airport, proximity to downtown hotels, and whether you will be near tourist attractions. An easily accessible location also means that vendors can get to your venue quickly for deliveries and setups, making everything run smoother. This is something your photographer, florist, and wedding officiant are sure to appreciate. If your location is less central and far away, it can add complications, along with potentially increased budget to make the logistics work. When presented with the option, a convenient and accessible location is best. Secondly, the right venue can help enhance the experience you have planned for your wedding. For example, if your style is modern and fun, you will want to find a unique San Diego wedding venue to match, as opposed to a traditional chain hotel. Many casual venues can be dressed up for more formal occasions, and are adaptable to many different looks. There are also venues that have outdoor spaces where guests can relax and enjoy the open air. Think about it from the perspective of your guests, and what would help make the occasion memorable for them. This will help inform the venue you ultimately select. When you plan for a big event, one of the first steps you’ll likely take is to prepare the guest list. Many subsequent decisions, such as the venue capacity, catering, and room layout, will depend on the number of people you believe will attend. If you expect a moderate number of family and friends, it will be necessary to find a venue that can accommodate all your guests easily. Many big hotels have large ballrooms, but this may not be the right setting for an intimate or mid sized group. You will want to choose a location that feels just right. If your group likes to have a good time, then having a venue to match becomes a must. If you are deciding on a venue, be sure to ask whether you are allowed a live band or DJ, so you have the flexibility. 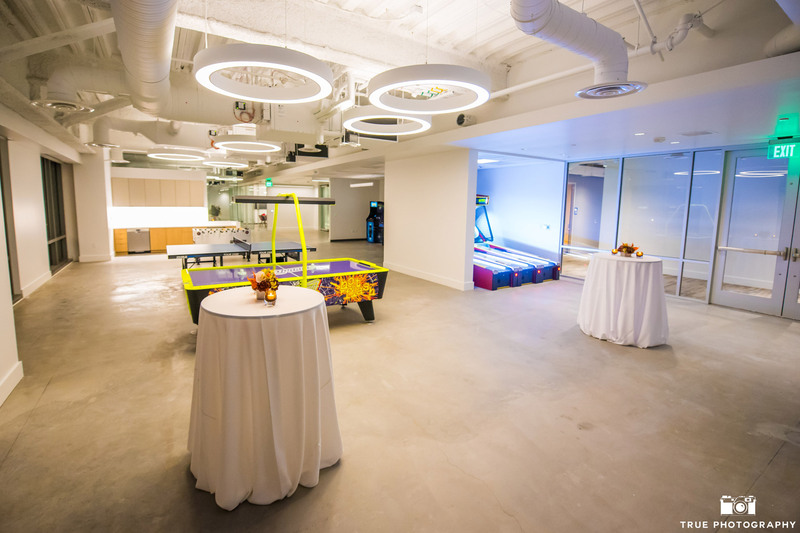 Some venues offer extra amenities like a fire pit or a game room, which adds to the enjoyment of the occasion. And don’t forget the dance floor – you’ll want to select a location that has plenty of room for Grandma to show off those moves. Last but not least, the meal helps to make an amazing event even more memorable. If an exceptional and experienced team manages your venue, they will likely have established relationships with the best catering companies in town. You can leverage these relationships to ensure you are working with the best caterers from the beginning, which saves a lot of time. Also, you will want to find a San Diego wedding venue with a spacious dining area, as well as a well stocked bar. By planning ahead, and choosing the best location for your reception meal, your guests will be sure to remember your wedding for years to come. Next post Planning a Wedding? Here are 5 Mistakes You Should Avoid.